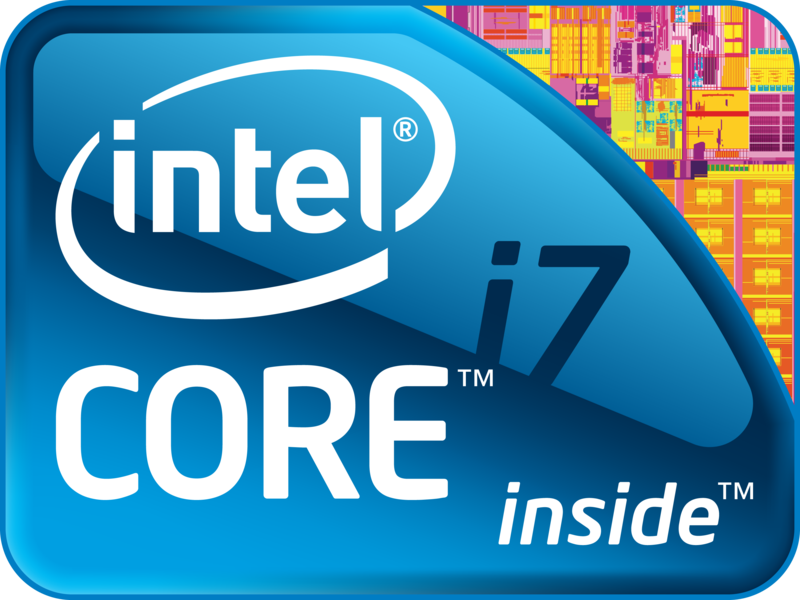 On 23rd of September Intel presented its new Core i7 Quad Core processors for high-end notebooks. 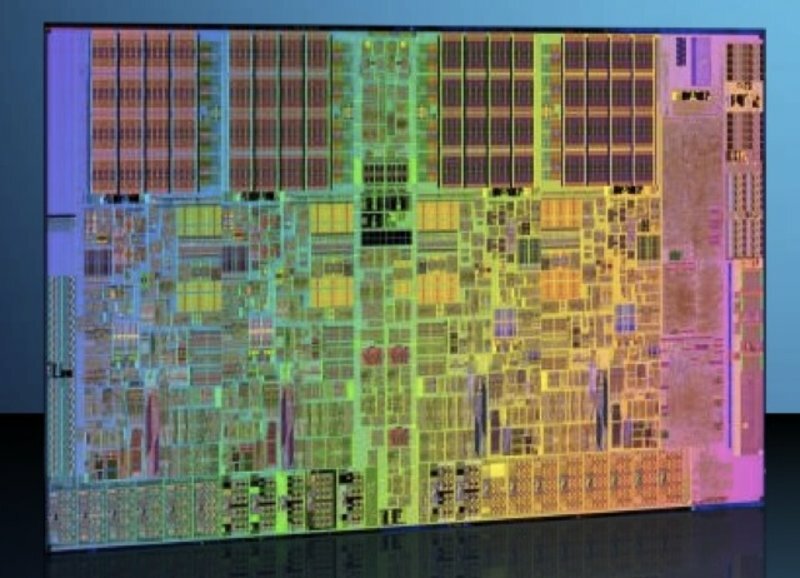 The three introduced CPUs should replace the mobile Quad Core processors and therefore only suited for big laptops. Technically, they are relatively low clocked desktop Core i7 CPUs with a higher built-in over-clock option. 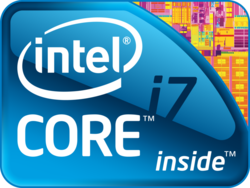 The mobile Core i7 is based on the recently introduced 45nm Desktop i5/i7 (Lynnfield) processors and is therewith the first native Quad Core CPU for notebooks (as the Core 2 Quad CPUs consist of two Core 2 Duo CPUs on one chip). 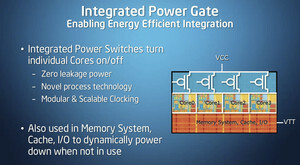 The biggest innovation is the integrated memory controller for DDR3 memory modules. Due to the direct connection the memory performance should be clearly better compared to the old Core 2 Duo / Core 2 Quad CPUs. According to Intel the performance of the memory bandwidth is more than doubled in SiSoft Sandra 2009. 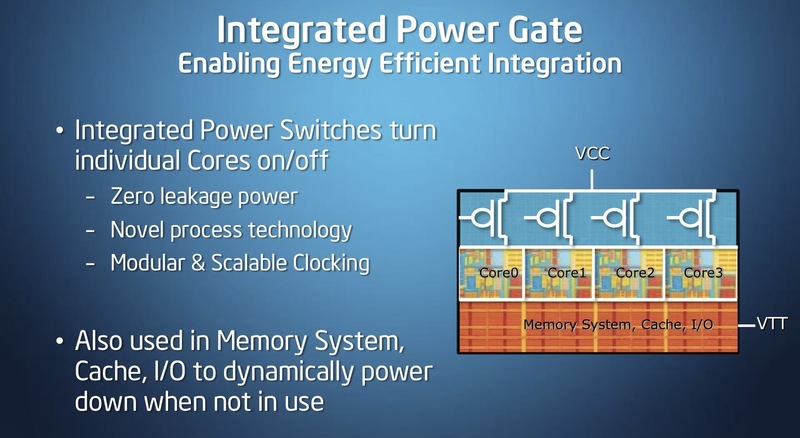 Another advantage of its architecture is the option to separately and dynamically switch single parts of the processor (cores, cache, i/o, memory system) on or off. Compared to the usual processor states this allows to save even more energy on low load (no leak currents in switched off parts). 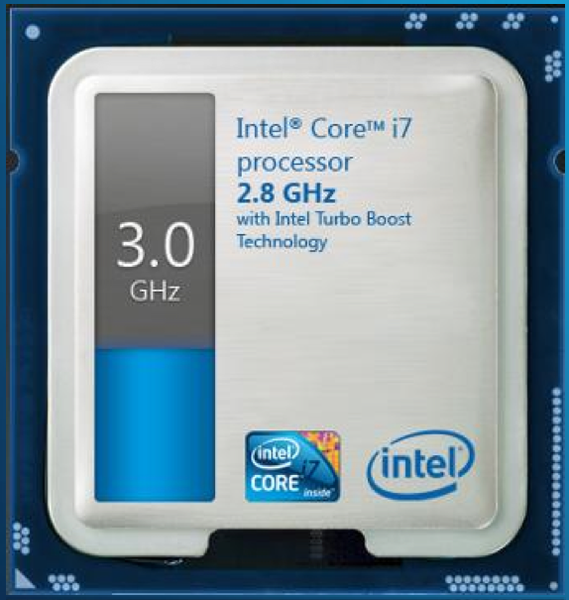 Because the i7 CPUs use relative low base clock rates (1.6-2.0 GHz), the Turbo Boost technology already introduced in the latest Core 2 Duos becomes more important. Depending on load and temperature single cores of the CPU can be clearly overclocked. E.g., if only one core is used to capacity (and the cooling system is sufficiently sized) the Core i7-820QM can be overclocked from 1.73 GHz to 3.06 GHz. Due to this automated overclocking the low clocked i7 can especially score points in old applications (e.g., older games) which only use one core. 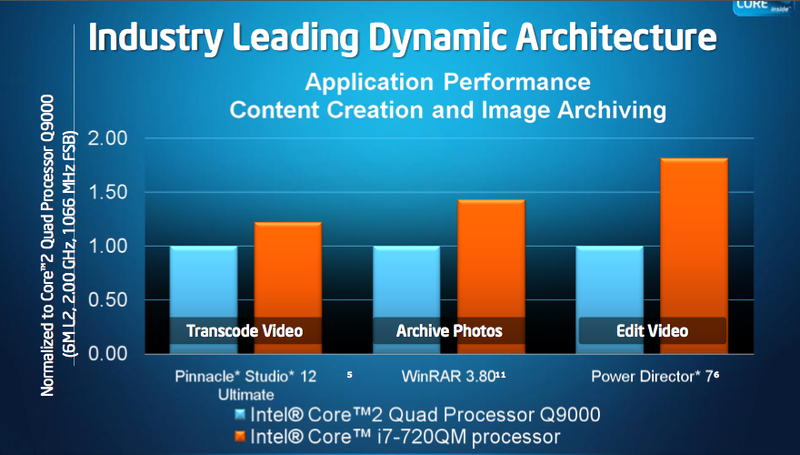 This way it can even outperform fast Core 2 Duo processors in these applications. If all four cores are used at the same time, the CPU can only overclock by one step (133 MHz) (only if the TDP is not yet used to capacity). 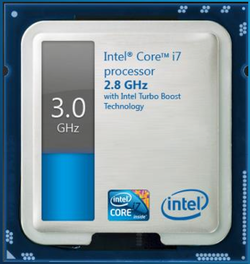 The fewer cores, the more levels the turbo function can use (up to 10 in the Core i7-820QM, i.e., from 1.73 GHz to 3.06). How far the processor is currently overclocked can be seen in the Turbo Boost Technology Monitor widget for Vista and Windows 7. The Hyper-Threading technology introduced in times of the Northwood Pentium 4, can now again be found inside the Core i7. If the cores are not utilized fully (e.g. 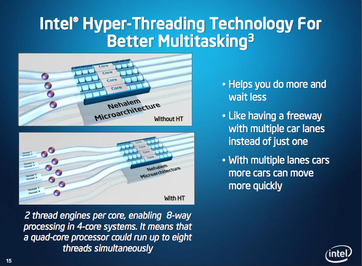 only a single floating point operation) Hyper-Threading can execute a second thread in them in order to improve the utilization of the processor core. Because of the Hyper-Threading technology these processors appear to be 8-core CPUs and can work up to 25% faster. However, sometimes the overhead for Hyper-Threading can also cause a slight performance loss. 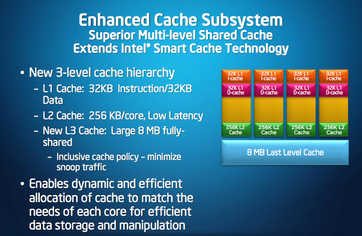 The integrated memory controller and the native Quad-Core design also lead to a change in the cache structure of the i7s compared to the Core 2 Quads. 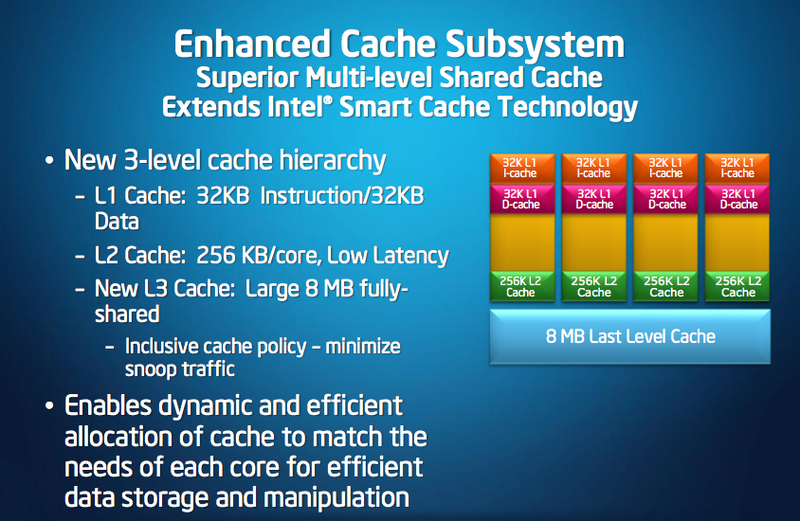 The new multi-level shared cache system does not any more depend on a huge Level-2 cache for each core, but in addition to a smaller L2 cache the four cores also use a shared Level-3 cache. This change should also improve the performance (especially using multithreaded applications). 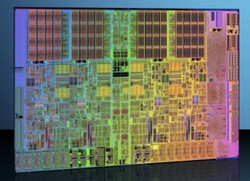 As the memory controller was integrated in the CPU, the chipset could be simplified. Instead of the former solution with three chips using Core 2 Duo processors (CPU + Northbridge + Southbridge), the Core i7 only needs one additional chip, which is in charge of PCI-E, USB, SATA, and the connection of LAN and audio chip. The later is now connected by DMI and no longer using an FSB. At launch date a chipset called PM55 (Ibex Peak) is used featuring 14 USB 2.0, 6 SATA 3GB/s, and 8 PCIe 2.0 x1 2.5 GT/s connections. Because of the missing memory controller, the PM55 only consumes 3.5 W TDP compared to the 7 W of the old PM45. Therefore, the overall power consumption of 45W (QX-series) and 3.5 W (PM55) is even a bit better than the Core 2 Quad series -> 45W CPU (Core i7 QX) + 17 W PM45 compared to 45W (Core 2 Quad) +7W (PM45) + 2.5W (ICH9M). The ALUs themselves were, compared to the Core 2 architecture, only slightly improved. The highlights are new SSE4.1 and SSE4.2 instructions and some small optimizations. Because of the integrated memory controller and the new cache structure, the performance per MHz should still be better.. 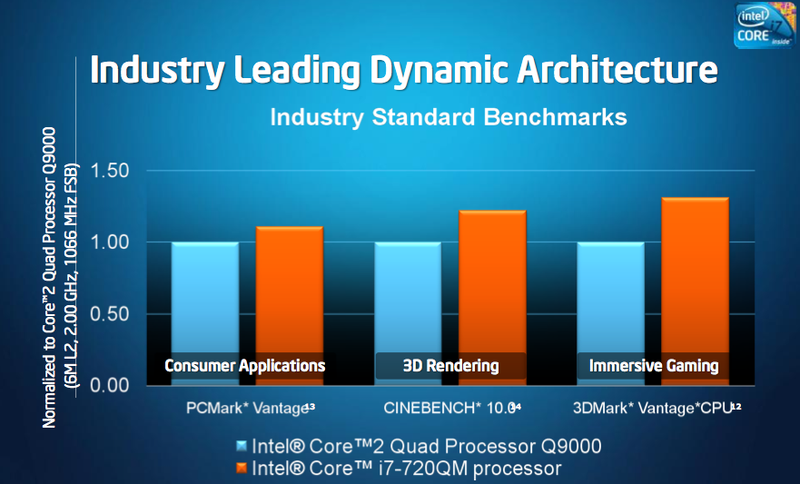 According to Intel's marketing the new architecture can, compared to the Core 2 processors, achieve clear performance gains in nearly all fields of applications. 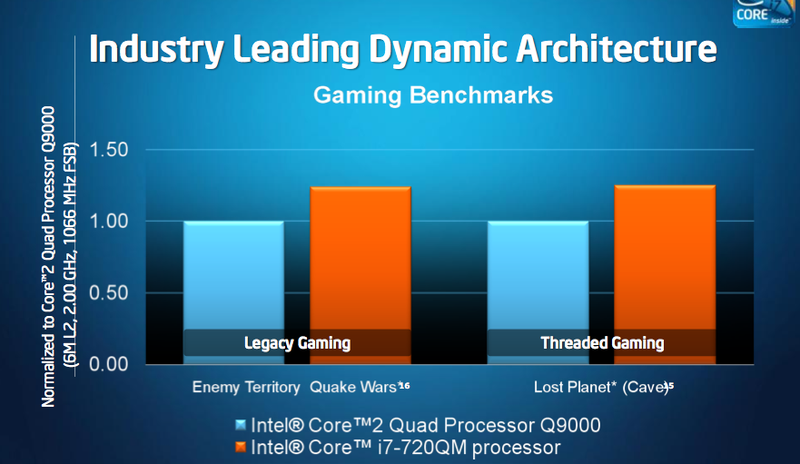 Compared to the former top model, the QX9300 Quad-Core, the new results of the i7-920XM are by about 10-80% better. Because of its overclocking option this CPU can score points in single-threaded applications as well as in multi-threaded applications (new architecture). Only in extreme situations and if overclocking is not applicable, the clearly higher clocked QX9300 scores. First Intel started with only three, quite expensive, models. All of them feature 4 cores (8 threads through Hyper-Threading) and DDR3-1333 support. Prices listed are for purchasing 1000 pieces. * open multiplicator (Extreme CPU). 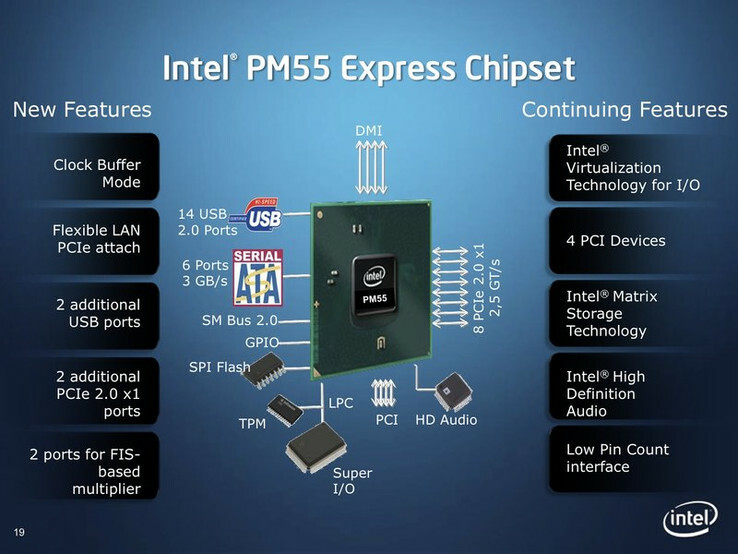 The Intel PM55 Express Chipsatz costs $40.